Sail with us to Dublin Bay Port, a short distance from a city famous for its culture and friendly nature, whether sampling a pint of Guinness or visiting the Guinness Storehouse. 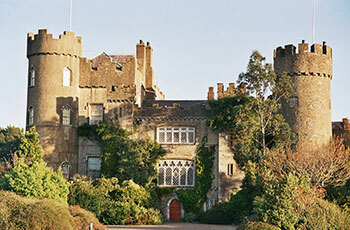 Culture here dates from the Book Of Kells; a manuscript written in 800 AD through to the modern day masterpieces in the Irish Museum of Modern Art; whilst activities range from exploring the coastline to watching Gaelic games in Croke Park. 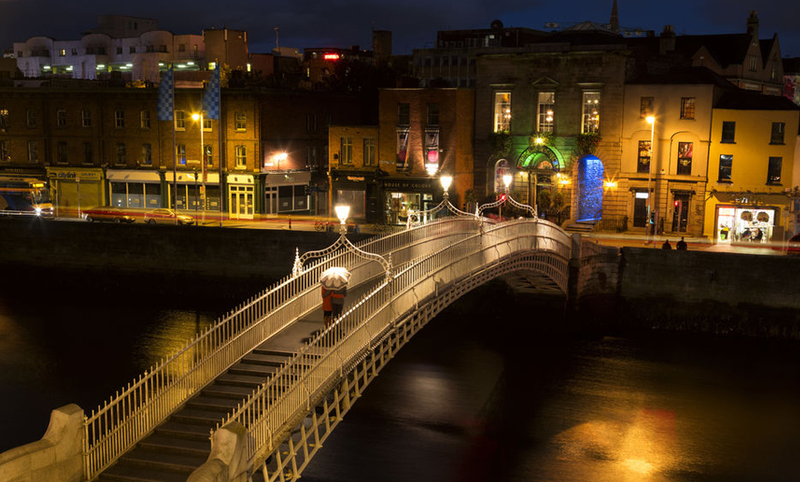 Dublin has more than enough to satisfy every visitor. For art lovers, a visit to The National Gallery and the Irish Museum of Modern Art housed in the magnificent Royal Hospital building is not to be missed. Impressionist masterpieces by Renoir, Degas, Monet, Morisot as well as the largest public collection of 20th century Irish art, and more, can be viewed at Dublin City Gallery The Hugh Lane. 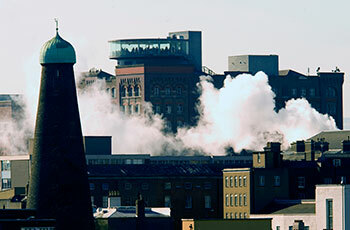 Visit the world-famous Guinness Storehouse in the heart of St James’ Gate Brewery for an unforgettable Irish experience. Enjoy seven floors of interactive experiences, taking you on a journey through Ireland’s rich history. If live performances are something you enjoy, The Abbey Theatre is a great place to take in an authentic Irish stage performance. The Gate Theatre, the city’s most elegant theatre, housed in a late 18th century building, continues to offer a stimulating and classical program, appealing to theatregoers of all generations. If you are looking for a musical, opera, ballet or drama, The Gaiety Theatre and The Olympia Theatre in the city centre are to be explored. Further out in the suburbs of Dublin are the Civic Theatre and the Draíocht Theatre as some of the many options open to you in this culture-packed city. Or if you’re a real culture vulture, visit the Book of Kells – a manuscript first written in 800 AD. If you are seeking more of an outdoor adventure, the magnificent coastline and mountains lie just minutes away from the city centre, providing a variety of activities including sailing, fishing, windsurfing, kayaking, cycling and walking. If you are looking for a more relaxing outdoor break, take a stroll in the 19.5 acres of the National Botanic Gardens on the south bank of the Tolka River. Those who live in Dublin are big sports fans and throughout the year visitors can experience the passion of a Gaelic Games match in Croke Park, the thrill of a race meeting in Leopardstown, the excitement of a rugby or football match, or the splendour of one of it’s 60 magnificent Golf Courses. No matter where you go, you will never be far from temptation. And the beauty of Dublin is that it is big enough to offer distinct shopping districts that are small enough to explore on foot! Grafton Street and Henry Street are the main pedestrianised shopping thoroughfares. Henry Street offers the best choice in high street fashion and is where Arnott’s, one of Dublin’s best-loved department stores, can be found. At night time the streets are alive with the partying classes conducting their own little pub-crawls. If you want an evening in the old style with traditional Irish food, music and some Irish dancing, you’re spoilt for choice. In the surrounding areas there are many venues hosting high profile music and cultural events all year round. The 3Arena and Croke Park, to name a few, are home to a multitude of events for you to enjoy. Bring your car on board and pack everything you need for an unforgettable Dublin experience, and fill the boot with your shopping bags on return whilst enjoying no extra luggage fees. Take advantage of our great Car offers and enjoy the convenience of driving off the ferry when you arrive to start exploring this city at your leisure. Why not make the most of your holiday and drive onto Belfast, giving you the opportunity to enjoy both of these must-visit cities, then pack up the car and return via our Belfast port.